Key Executives - Fischer Financial Services. Inc.
Fredrick D. Fischer is the founder and President of Fischer Financial Services, Inc. Mr. Fischer is the Senior Portfolio Manager and serves as head of the firm’s investment committee. Mr. Fischer earned his Bachelor of Science in Business Economics with a concentration in Finance from Purdue University in 1973. He also earned a Master of Science in Management (i.e. M.B.A) from Purdue University in 1975. He was born June 5, 1951. He began his career at AMP, Inc. as an Analyst. He held various positions of increased responsibility in operations and, finally, as Manager of Strategic Planning 1977-1988. Mr. Fischer left AMP, Inc. on June 30, 1988 to launch Fischer Financial Services, Inc.
Over the past 30 years, Mr. Fischer has addressed the PA Bar Association, PA Optometric Association, PA Podiatric Medical Association Board of Directors, Ohio College of Podiatric Medicine, Pittsburgh Theological Seminary, PEER Network Conference, Harrisburg Dental Association, Pennsylvania Dental Association Board of Directors, Management of the Harrisburg Senators, and PA State Senate. Mr. Fischer has been quoted in the Patriot News, Community Review, Business Month, and USA Today. During 2003, Frederick D. Fischer became a registered Player Financial Advisor to the NFL. In addition to giving to numerous charities financially, Mr. Fischer also serves on the Investment Committee of the Foundation of Enhancing Communities and the Keystone Human Services Investment Committee. He has served on the Board of the Leukemia & Lymphoma Society and is currently an Emeritus Member. Mr. Fischer has been a Board Member and Treasurer of the Silence of Mary Home from 2005 to 2018. In addition, he serves as Chair of the Investment Committee for Keystone Human Services. Mr. Fischer has also served on the Salvation Army Advisory Board. Occasionally, Mr. Fischer has served as an expert witness in arbitration proceedings to assist individuals who have been wronged by stockbrokers. 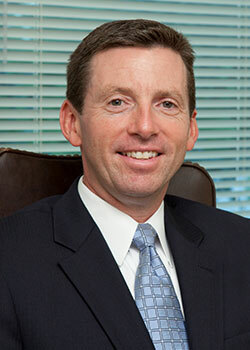 William B. Angino serves as Vice President and Chief Compliance Officer, and he is a member of the investment committee. The responsibilities for this position include administration, systems, investment management, and research. 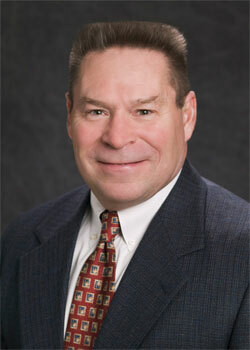 Mr. Angino began his career in 1989 at Fischer Financial Services, Inc. as a Manager of Compliance and Administration. By assuming other tasks of increased responsibility, he was promoted to Director of Operations and Research. His areas of expertise are problem resolution, business management, investment theory, and computer systems integration. The foundation of his skills is a Bachelor of Science degree in Industrial Management from Carnegie Mellon University. This course work was tailored to include finance and investment theory studies. Mr. Angino is an investment adviser representative for Fischer Financial Services, Inc. and has passed the NASAA Investment Advisors Law Examination (Series 65). Thomas K. Baldwin is the Director of Marketing & Client Services at Fischer Financial Services Inc., and he is a member of the investment committee. He began his employment at the firm in June 2004. In addition to investment management, his current responsibilities at Fischer Financial Services, Inc. include developing business in institutional and high-net-worth marketplaces, producing and maintaining the firm’s marketing materials, and serving as the key contact for all administrative and service related matters. Prior to joining Fischer Financial Services, Inc., he was employed for 15 years at Lanier Worldwide, Inc. in various sales and management positions. His most recent position was that of Major Account Manager, and his responsibilities included the development of business in Major, National, and Government Accounts. Mr. Baldwin earned his Bachelor’s degree from the College of Behavioral and Social Sciences at the University of Maryland, College Park, MD. He is an investment adviser representative of Fischer Financial Services, Inc. and has passed the NASAA Investment Advisors Law Examination (Series 65). 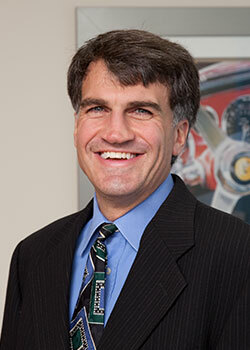 Gary C. Sanger is Distinguished Professor of Finance and Director of the SMART Lab at the E.J. Ourso College of Business at Louisiana State University. Prior to joining LSU he was assistant professor of finance at The Ohio State University. He received the BSIM degree from Purdue University in 1973, with honors in economics, and his Ph.D. in Finance from Purdue in 1980. Dr. Sanger also holds the Chartered Financial Analyst (CFA®) designation. 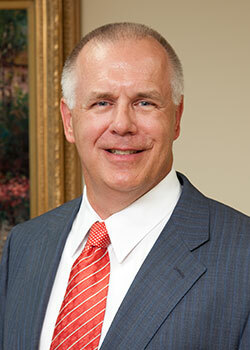 Prior to his current position, Dr Sanger was Associate Dean for Academic Programs in the Ourso College. He also served as Chair of the Department of Finance. His research has been published in leading academic journals including The Journal of Finance, Journal of Financial and Quantitative Analysis, The Review of Financial Studies and Financial Analysts Journal. His research interests include investment and corporate finance, including the structure and performance of securities markets, asset pricing, portfolio management, corporate governance and initial public offerings. Dr. Sanger is a member of the American Finance Association, CFA Institute, the Financial Management Association, and the Society for Financial Studies. He is currently President of the Southern Finance Association, and is a past Director of the Southern Finance Association. Dr. Sanger received the 2010 C. Stewart Sheppard Award for outstanding contributions to the CFA Institute. Fischer Financial Services, Inc. is an approved adviser through Dimensional Fund Advisors (DFA), headquartered in Santa Monica, California. DFA’s investment strategies are guided by an abiding belief in financial science and the efficiency of capital markets. To learn more about DFA, please call our office at 1-888-886-1902 or visit www.dfaus.com.